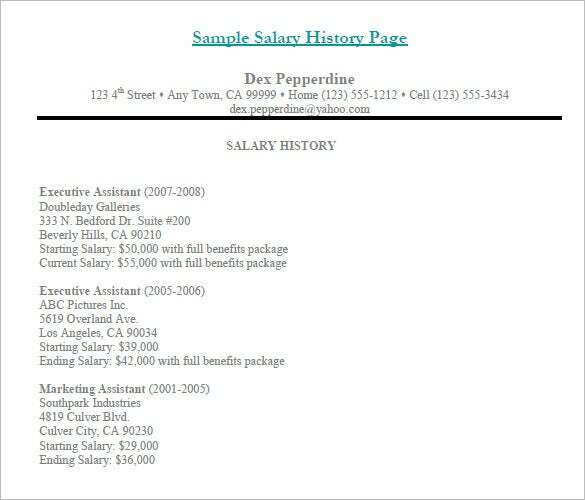 9+ Sample Salary History Templates – Free Word, PDF Documents Download! 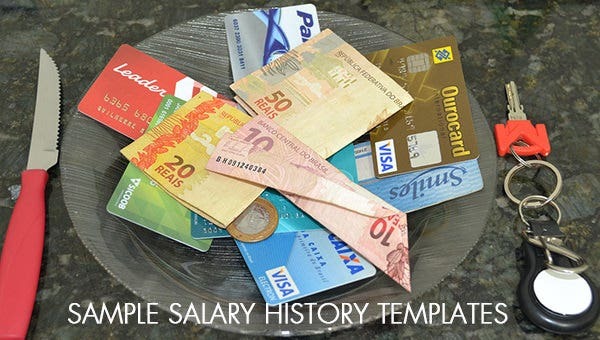 Salary is something very personal but when you are making a free sample salary history template. 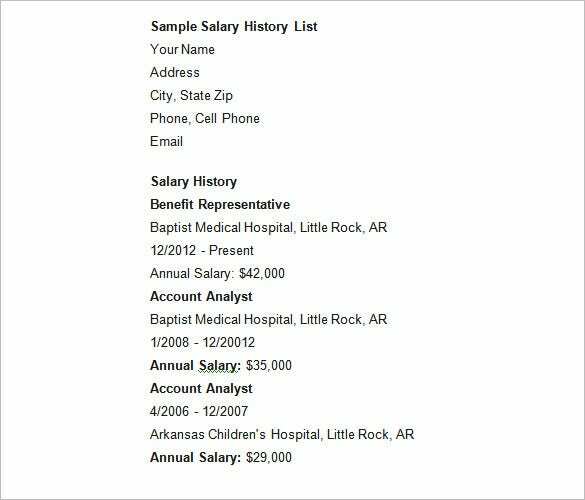 To PSD download sample salary history template you have to make a chart like structure or make a database with figures and statistics. It shows small boxes in the form of history sample sheet. 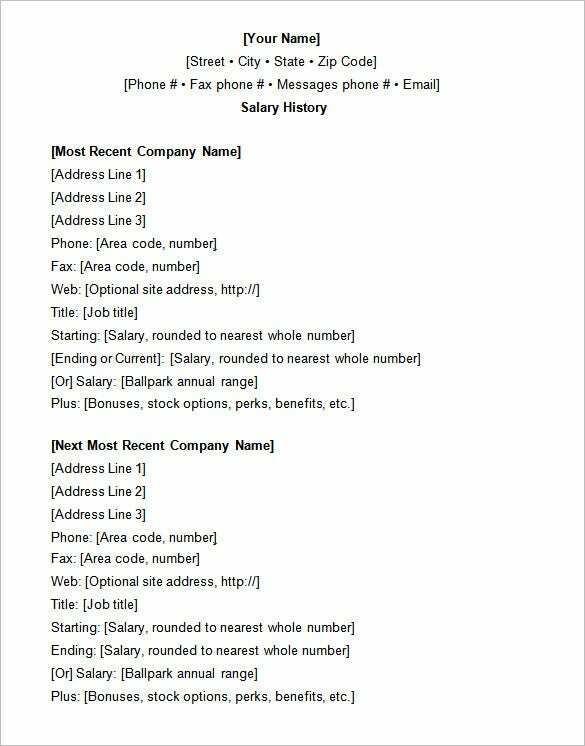 Each and every recording of salary is noted down to make it into a sign in sheet template. 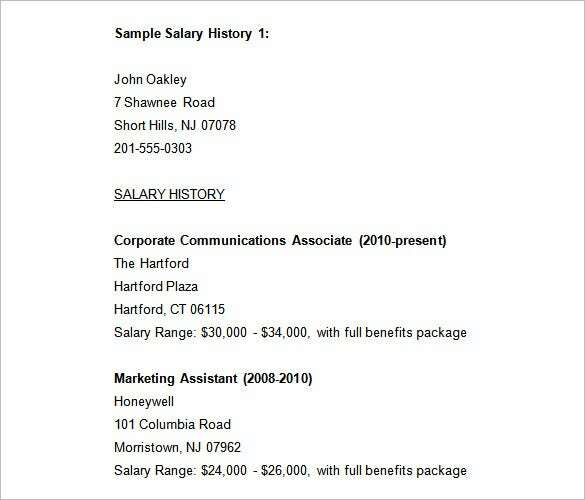 This template would be helpful when you have to make a salary history to show it to your prospective employers. 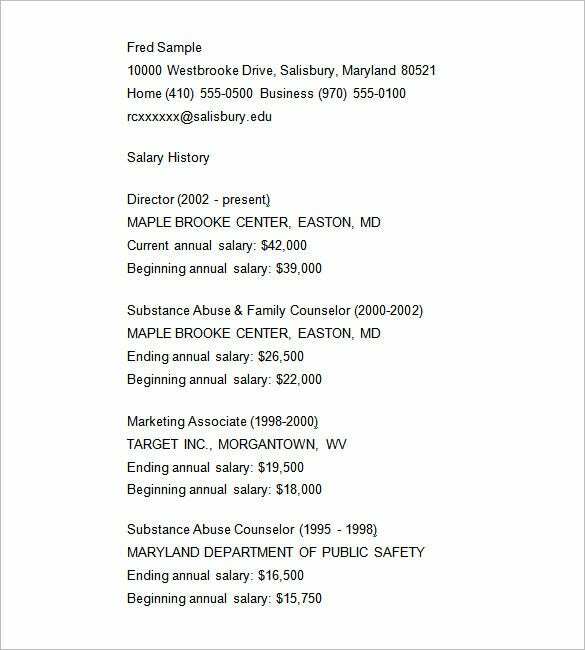 It’s a pre-structured template that enables you to present your salary history with full information of previous offices & designation. 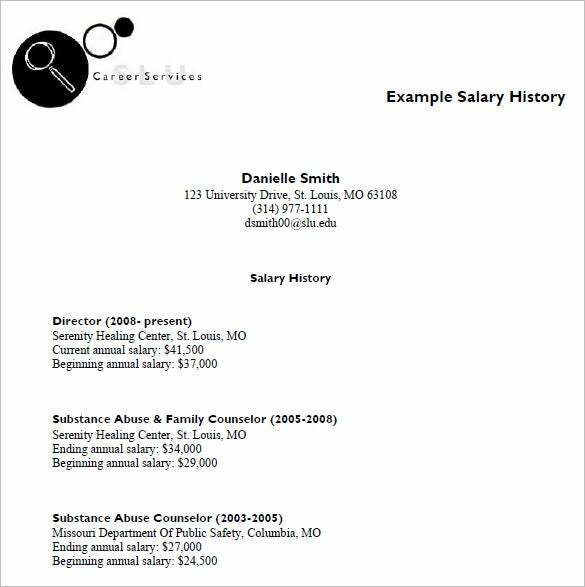 This salary history template will allow you to present your previous salary structure in 3 companies per page, including data about both your beginning annual salary and end annual salary. You are getting a detailed salary history template here where you can inform your potential employer about the starting salary, ending salary in previous firms and also the current salary in current firm. 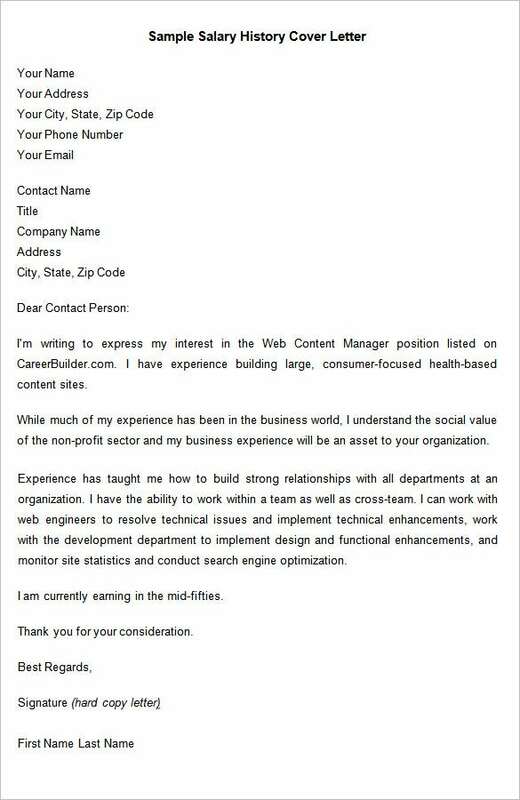 The template starts with space for information about yourself and then the list of annual salaries you have earned in every company you have worked, starting from your present company. 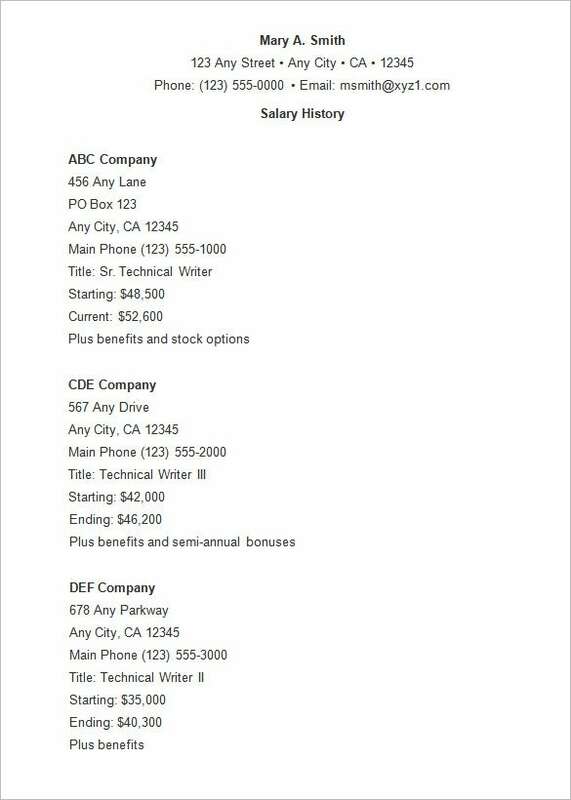 This salary history list enables you to put salary information for as many as 4 previous companies, including the present one. This template is especially for the highly experienced pros. 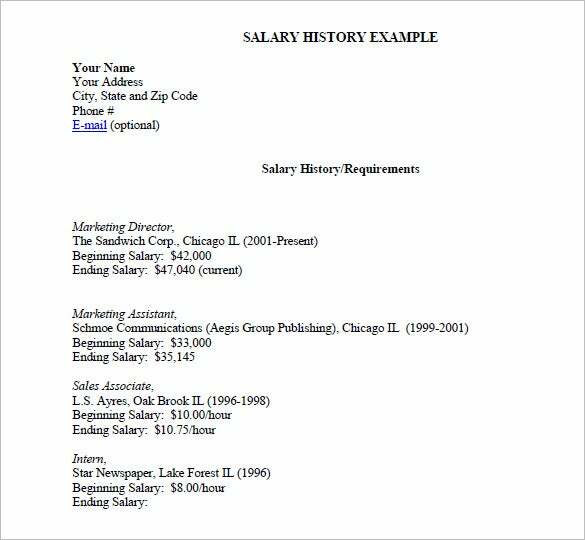 To label down history templates into salary you have to know exact data and research regarding the plan of making the template. You can send it to other employees who work in the same company.